With breaches today often going undetected for months or years, many organizations must now accept the very real possibility that intruders have already compromised their systems, regardless of the organization’s security posture. Today, compromises are measured in minutes and the speed of response is measured in days. Enterprises the world over are realizing that to close the gap, they need to evolve their security operations from being a largely reactive unit (waiting for alerts that indicate a threat) to being proactively on the hunt for new attacks that have evaded detection. When an incident does occur, the speed of your response will dictate the extent to which you can minimize the impact. In the case of a malicious attack, it takes on average over 7 months to identify a breach, and nearly two and a half additional months to contain the incident. Every second counts, and while the clock is ticking, the cost of the breach is rapidly increasing as well. even more. Minimizing dwell time is the name of the game; the faster you can identify root cause, the faster you can remediate. A highly efficient security operations center (SOC) enables its skilled defenders to harness both advanced automation and human insight to combat the ubiquitous threat of cybercrime. The time to transform your SOC into an intelligence-driven operation that can hunt for zero-day threats is not after an incident when you realize you lack the information for proper forensic analysis. 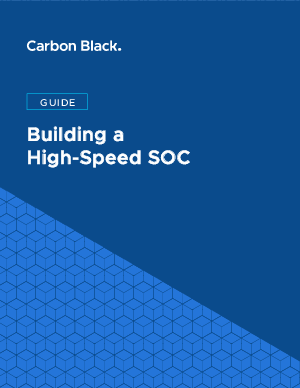 Put your SOC and your team in a position to succeed today by taking inventory of just how effective and wellintegrated your security stack is in the face of modern sophisticated cyberattacks.